BERLIN, Aug. 29, 2018 /PRNewswire/ -- VirZOOM announces immediate availability of VZfit, the company's second-generation commercial VR Fitness System. VZfit turns any commercial stationary bike into a VR Fitness System in five minutes. Customers already include health clubs, corporate fitness centers, hotel chains, multi-family real estate, higher education, and military installations. VZfit features the Acer OJO 500 Windows Mixed Reality headset just announced at IFA Berlin. The new headset with a one-of-a-kind detachable design offers superior flexibility, comfort, and hygiene for consumers and businesses. Its integrated audio system uses a patented sound pipe design which directs sound from the built-in speakers toward the wearer's ear, giving users the option to leave ears open to be aware of the surroundings while still enjoying an immersive experience. "The Acer OJO 500 brings several significant new features to this class of Windows Mixed Reality headsets," said Andrew Chuang, General Manager, Presence Computing, IT Products Business, Acer Inc. "We've improved the user experience with innovative visual and audio technologies and made the headset more comfortable and easier than ever to use." 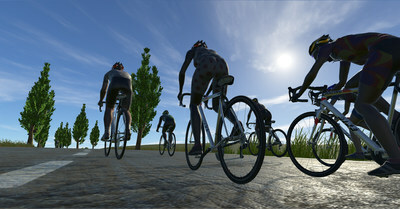 VZfit transports players into exciting VR worlds where they enjoy a range of exercise programs from real to fantastical, from cycling along the California coast to real-time, multiplayer VR tank battles with competitors spanning continents. As you play, time goes by and calories are burned. A workout without the work. Commercial VirZOOM VR Fitness systems are enjoyed by thousands of consumers and health club members, hotel visitors, university students, and corporate fitness center users worldwide, from Hong Kong to Chicago to Melbourne. 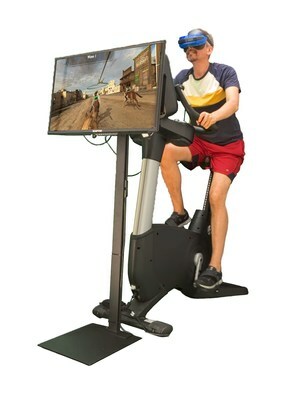 "VirZOOM's new 2nd generation commercial product VZfit is a turnkey package of Sensors, VZfit Console, and Acer Windows Mixed Reality that anyone can set up in five minutes to turn a commercial stationary bike into a VR Fitness System," stated VirZOOM Co-Founder & CTO Eric Malafeew. "Self-administered and remotely serviced and maintained, VZ Fit is ideal for any health club that is looking to attract new members, hotel looking to bring in new visitors, apartment complex that desires young tenants, or company that needs a corporate wellness platform that employees will actually use regularly," said Co-Founder & CEO Eric Janszen. "Shipping with Head-to-Head vSports mode, real physical competition in VR keeps players coming back to win." The Acer OJO 500 completes the VZfit picture by providing a headset optimized for shared use in public settings like health clubs. The part of the headset worn by users is personal and separate from the optics and electronics, minimizing hygiene concerns. "Not only does it offer immersive experiences, but the Acer OJO 500 Windows Mixed Reality headset also provides a clean and hygienic solution for users sharing the headset in health clubs or while exercising at home," said James Hsu, Director, Business Development, IT Products Business, Acer Inc.
"We are thrilled that our VR Fitness partner Acer is bringing this ground breaking VR solution to market," Janszen said. "ACER OJO 500 with VZfit together fulfill our vision to deliver a complete VR Fitness solution to commercial operators without compromises." VZfit is immediately available direct from VirZOOM, through its global partner Life Fitness, and Gym Source in the U.S.
Named one of Fast Company's World's Ten Most Innovative Companies 2018 in the Wellness category with Peloton, MindBody, Hilton Worldwide, Well+Good, Under Armour, SoulCycle, Pure Barre, Equinox, and Tough Mudder, VirZOOM was co-founded by CEO Eric Janszen and CTO Eric Malafeew in February 2015 and headquartered in Cambridge, MA, has raised a total of $7M from private investors and is now shipping its 3rd commercial product VZfit via major distributors worldwide.